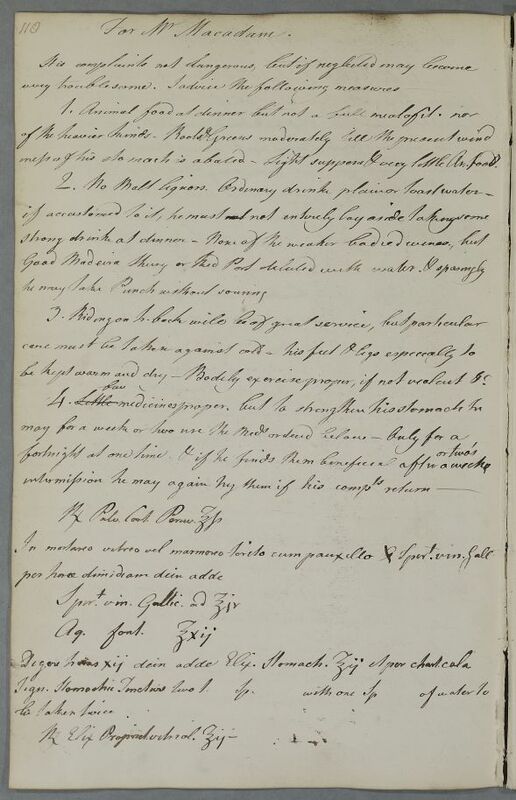 Case of Mr McAdam of Craigengillan who has gout. iness of his stomach is abated. Light suppers & very little Animal. food. be kept warm and dry - Bodily exercise proper, if not violent etcetera. iness of his stomach is abated. Light suppers & very little An.. food. be kept warm and dry - Bodily exercise proper, if not violent &c.